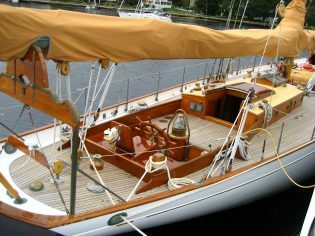 Join us for the Antique & Classic Boat Rendezvous, a dazzling display of high-quality antique and classic vessels including cruisers, sailboats, and runabouts. An award-competition recognizes excellence in restoration, authenticity, and workmanship. Approximate 35 classic vessels create a colorful gathering along the Museum’s waterfront all day Saturday and Sunday morning. Sunday afternoon, the vessels make their way down the Mystic River in a jubilant, three-mile parade.